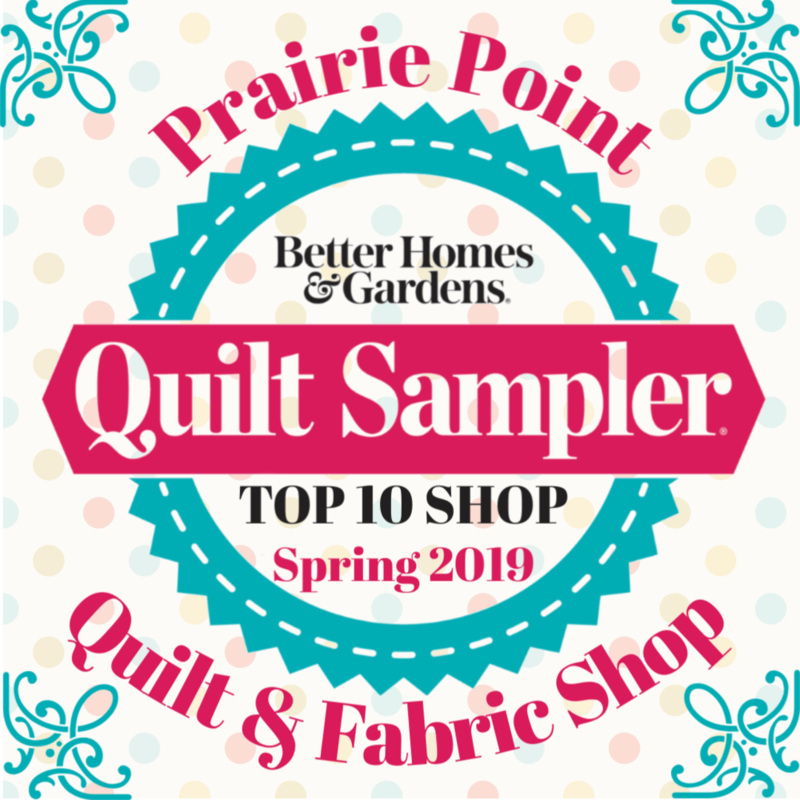 At Prairie Point Quilt & Fabric Shop, it is our mission to provide you with fabrics, notions, patterns, books and inspiration ... everything you need for sewing projects including quilts, bags, clothing and home decor. We are more than a quilt shop. We are now a creative sewing center. We look forward to having you join us for a unique shopping experience. The staff and I are united in our passion for sewing and our commitment to service. Find us in the Spring 2019 issue of Quilt Sampler magazine! Catch up on the latest goings-on! Our new address will be 12116 W. 95th St., Lenexa, KS 66215. We’ll be located just off I-35 between the Sam’s Club and DSW. We are celebrating! We’ve been selected as a Quilt Sampler Top 10 Shop! Look for us in the spring magazine; pre-order your copy online here or in the shop! Thank you for all your congrats and happy wishes for us. It's because of you that we received this honor. I can't respond to all the emails you've sent me, but we all are delighted with your responses. Stay tuned — more information coming soon! Winter/Spring 2019 class schedules are in the shop! Come in and pick one up or download a printable version here. Did you know you can sign up for classes online, too? Just click here! Please join us for Quilts of Valor sew-ins. Beginning in the new year we will let you know the new dates of our monthly sew days, where you can enjoy fellowship with other quilters while sewing quilts for veterans of war. We begin at 10:00 am, but arrive when you can and stay for whatever your schedule allows you. No need to sign up. Call if you have any questions: 913-268-3333. Add me to the Blog subscribers list!